MCB by Beauté Sélection offers a unique meeting dedicated to the world of beauty. The exhibition will welcome you the 14 & 15 September 2014 at Paris Expo, Porte de Versailles. See HeadBed on the Cindarella stand A12 - Achetez sur notre stand le protège-nuque révolutionnaire HeadBed. Salon Look International is a unique the exhibition in Spain for Beauty industry where showcasing their latest products, treatment launches, equipment innovations. See you at Feria de Madrib, Spain. 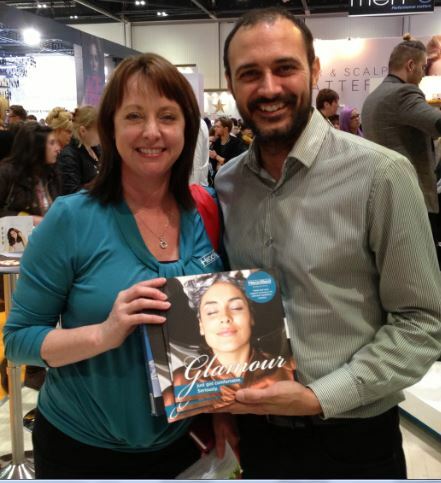 Come and meet#HeadBed_Global at the Cinderalla Booth 2B27, Hall 2 at "BEAUTYWORLD" in DUBAI on the 27-29th May 2014. Dubai International Convention and Exhibition Centre. 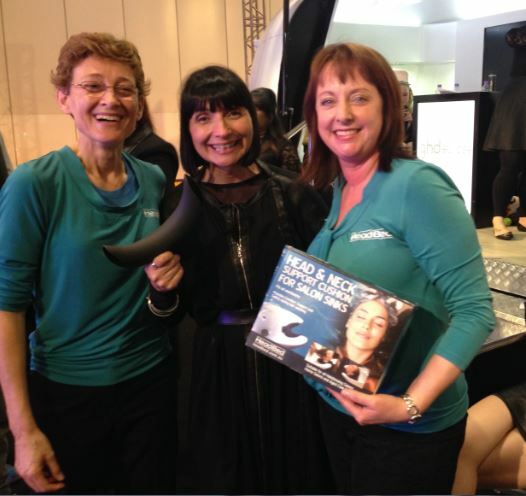 The HeadBed Team is heading to Sydney Hair Expo - 7-9 March 2014. See you at stand 2938. 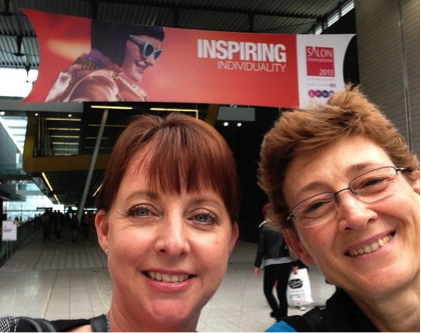 We loved New York - the HeadBed team attended the IBS New York Hair Show in March 2014 - what a blast. 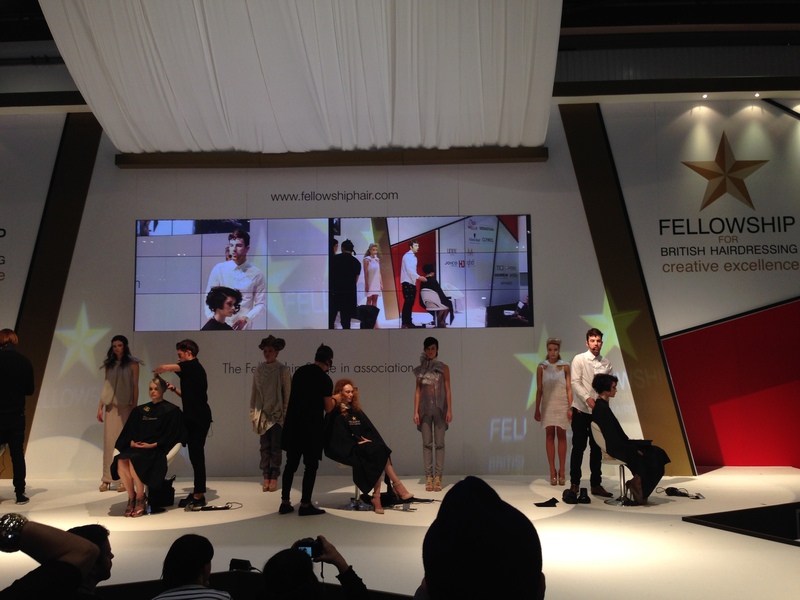 Catherine was even treated to a new "Mia Farrow" hair cut my the UK based Mark Woolley on stage. 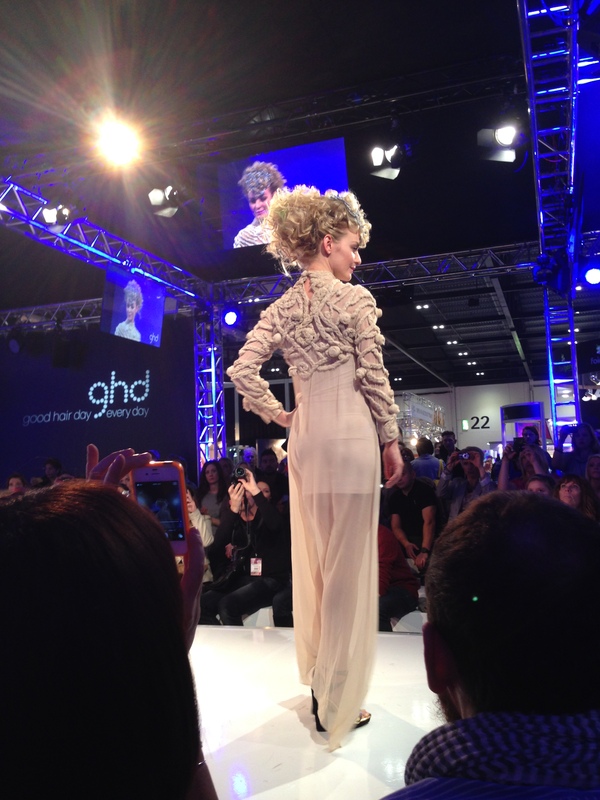 The HeadBed team recently returned from the London Salon International Hair Expo 2013 to so many wonderful accolades and compliments that our hearts were filled with joy. This ultimate compliment and endorsement came from our own Australian Jayne Wild of Wild Life Sydney, who was a guest of GHD London. Wild Life Hair in Sydney is considered the absolute best, and she was hugging us and thanking us for inventing and producing the HeadBed. Jayne is so passionate about her art, her craft, her clients' wellbeing, that she unreservedly shared her excitement about our HeadBeds on her washbasins. Thank you Jayne ! And I quote "Ladies the HeadBeds are amazing. No more water leakage. No fear that my client will have a stroke at the basin. I love them. My clients love them. Brilliant. I have told everyone about them”- Jayne Wild, London 2013. 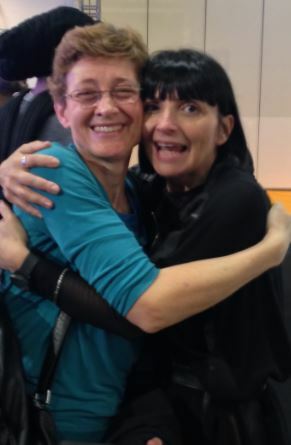 Our inventor Catherine being hugged by Jayne saying how happy and grateful she is to have our HeadBeds. "One of the most significant improvements at the wash basin in decades". Our next incredible moment was with Nathan Walker, International Technical Director of Trevor Sorbie International. Nathan acknowledged that there is certainly an issue with discomfort at the basin and really liked the HeadBed. He keenly observed the HeadBed in action on the KeraStraight stand where the models were constantly having their hair washed. Trevor Sorbie and his team are innovators and leaders in the industry and Nathan gladly accepted 2 HeadBeds and he will be putting them through a thorough testing regime at Trevor Sorbie Hairdressing Academy. Cathy Dalton with Nathan Walker, International Technical Director, Trevor Sorbie. 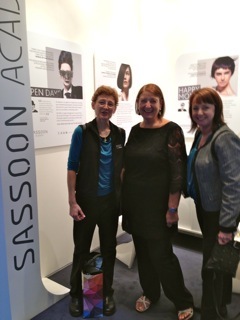 Our next magical moment was with Vidal Sassoon, Leona Curran, General Manager UK Academies. Leona immediately saw the potential and benefit of the HeadBed. She held and felt the soft pliable high grade silicon rubber cushion and said “I really like the feel of it, as well as its practical side, HeadBed looks really good aesthetically too, congratulations on inventing a much needed product for the back wash”. Our HeadBeds are now on the wash basins at one of the world’s best training academies, Vidal Sassoon. They train young hairdressers to the highest level of skill in their trade. Cathy, we have tried out the samples of the neck rest you gave me and all the team love them. We are looking forward to doing business with you. - All the clients think they are so comfortable they love them. Trialling the HeadBed at a wash basin, Mark immediatley felt the difference. He got up, felt it, sat back again, re-tried and I quote again, “that is amazing, love it, I will take 5 now” - Mark Woolley. HeadBeds are on the back wash basins of Electric in London, Brighton, Reading, Oxford and Liverpool. 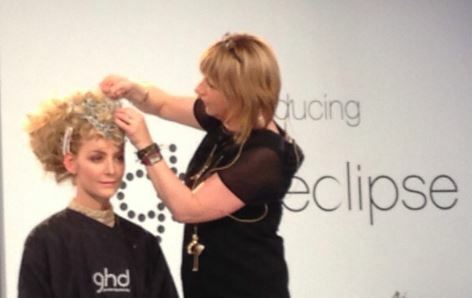 Our wonderful Australian Lorna Evans presented 4 magical up styling creative styles. 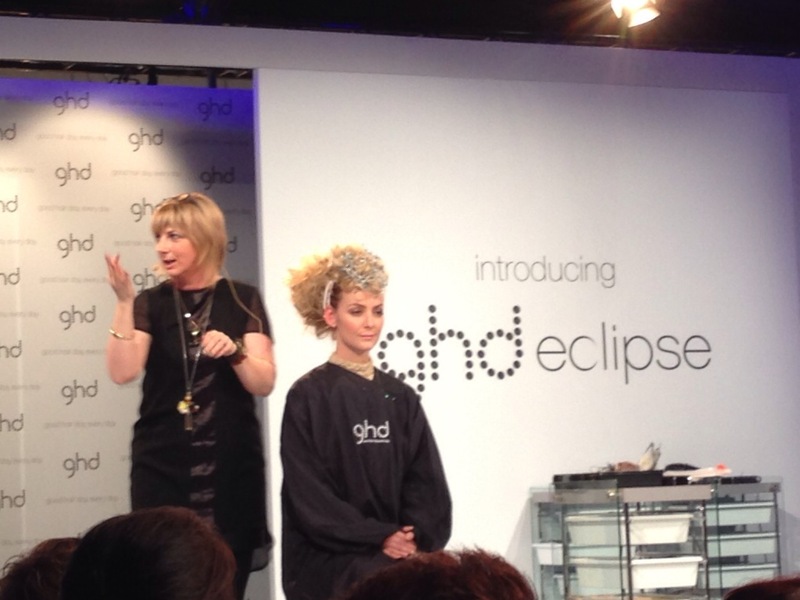 Lorna’s passion for her craft and her expertise just shone through on stage. Being such a natural presenter she had the crowds hooked on her every word and demonstration. The models’ hair matched perfectly the dreamlike, fashionable gowns. Catching up with Lorna after the show, she praised our HeadBeds which are already on her salons sinks back in Australia at her brand new training academy. 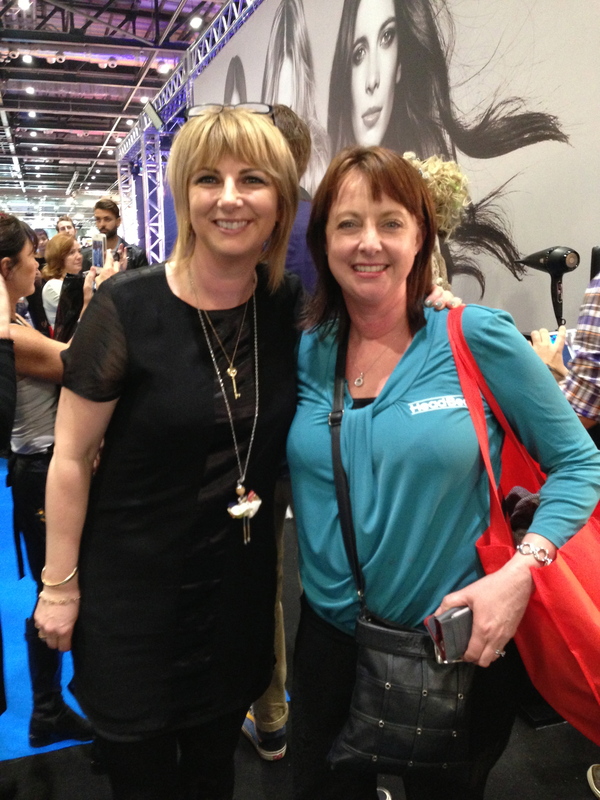 We also met the most delightful Tracey Charleton, Head of Education at Paul Mitchell, 365 and Salon Success. As soon as she saw the HeadBeds, she welcomed us with open arms to place HeadBeds on the back wash basins that the Paul Mitchell and British Fellowship catwalk models were using for the 3 days. Once the HeadBed was placed on the basin, their gorgeous model said "Woah! That is good, so much better”. She was pleased that the HeadBed was staying on the wash basin for the whole 3 days. We had some very grateful young male and female models who 'survived' the long hours of preparation and hair wash now in total comfort. 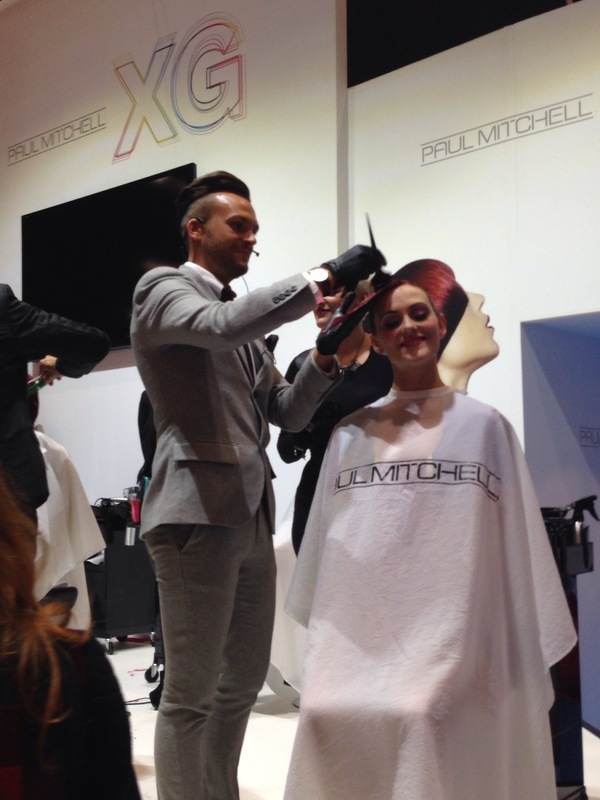 Paul Mitchell/Salon Success, Managing Director, Simon Tickler keenly observed his models reactions all weekend, and he was so impressed that the door is now well opened for HeadBed to be in the UK and European market. 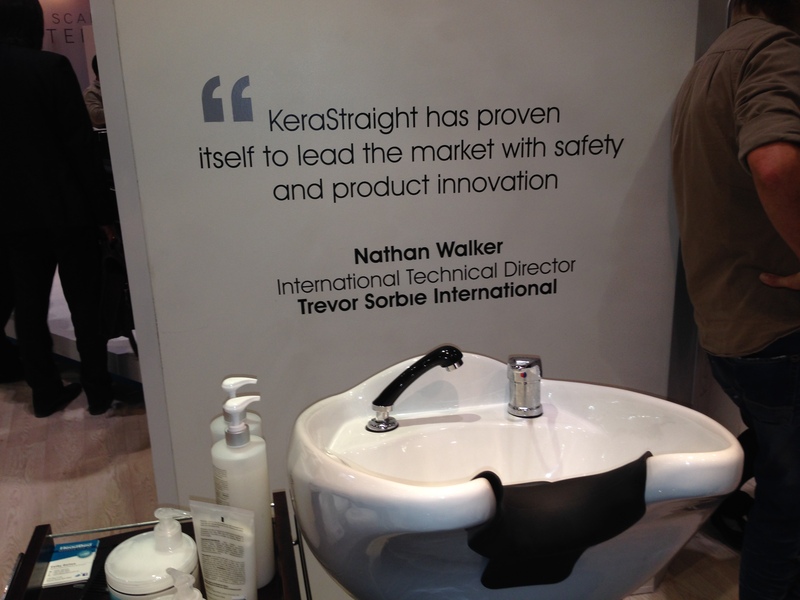 The Kera Straight stand also attracted extra attention because we set up a HeadBed in their basin, as they demonstrated various hair straightening products. The lady at the basin was blown away by the difference it made when Cathy placed a HeadBed for her before her hair wash. Her other two friends couldn't wait to try it too. We met Richard from HABIA Hairdressing Association who also recognised HeadBed's potential for solving this duty of care issue that hairdressers have with their client, especially at the washbasin..
As we say at HeadBed International: "Glamour just got comfortable !" We certainly kept proving it to all these lovely UK people we met. 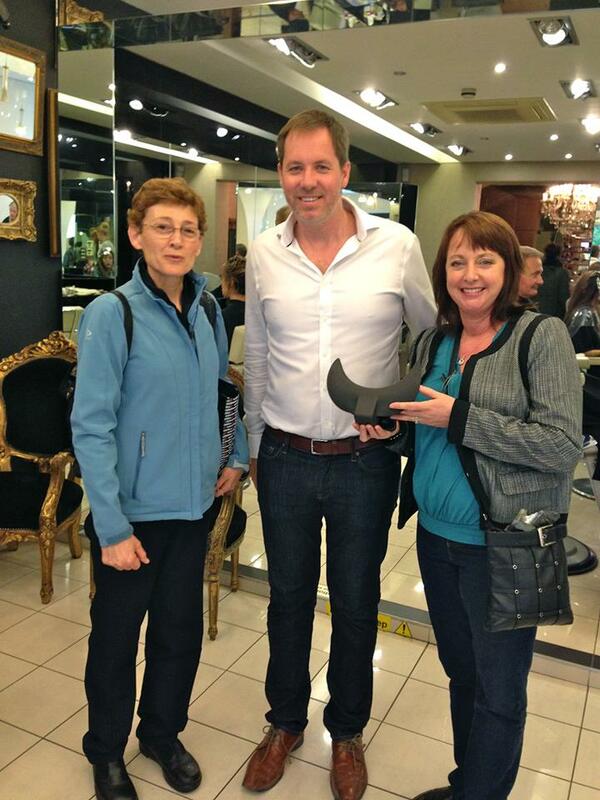 Our biggest thanks goes to our first UK HeadBed buyer Adrian Hanlon of One Step Ahead. Now our wonderful distributor and “main man in the UK”, Adrian’s love of and passion for our product is absolutely wonderful. 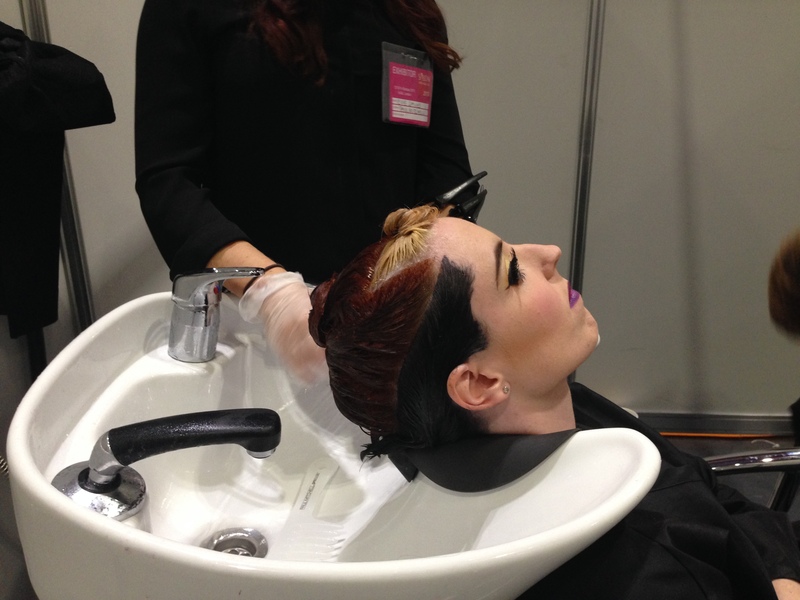 On the last day of the London Salon International, we have tried to share with you the enormously positive response we have had from all the main players in this global gathering of the hairdressing community. Cathy and Catherine were so happy and proud to see the immediate acceptance of the Australian created and invented HeadBed. 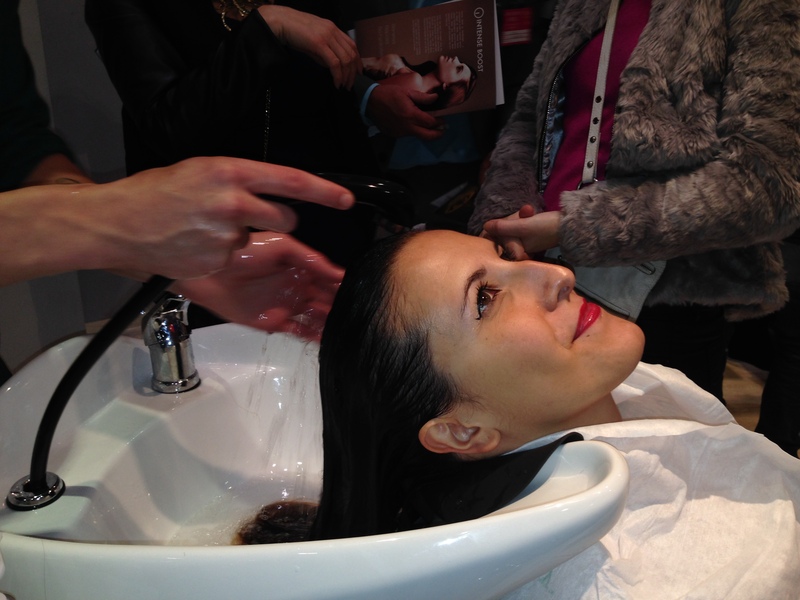 We have shown it to be a definitive improvement and unique solution to the neck discomfort at the wash basin, and that was openly confirmed by such a distinguished gathering of hairdressing professionals. We felt our work was done and our HeadBed Team of two brave ladies from Perth could go back home on the biggest high. This is what climbers of Everest or an Olympic gold medalist must feel like...! Many years of hard work to study, design, test, try out, hopes and dreams, until finally the solution is perfectly matched to the problem. Solved ! Done and Dusted ! We were welcomed by the World and Five Times British Hairdressing Champion, Craig Hubert who now has a HeadBed on his sink in Chelmsford, Essex. Craig Hubert is typical of the forward thinking, early adopters hairdressers of the Chelmsford, Essex community. They are the first in the UK to have adopted the HeadBed, making them part of the global hairdressing industry innovators and trend-setters. One Step Ahead, Craig Hubert, Genesis, Options and Lee Stafford Training Academy have embraced change at the wash basin, and now have the new and remarkable HeadBed on their sinks providing women and men with comfort, support and safety at the back wash basin. Craig Hubert said that it definitely makes a difference, and we look forward to getting familiar with the use of the HeadBed. Judith from Genesis said "it is amazing, the effect for our clients is like day and night and our customers noticed the support immediately". Norman from Options fully endorses the HeadBed and says it’s time that someone has brought to market this brilliant product. I have been trialling this product now for a month and my clients LOVE IT. “Customer Comfort is the utmost importance and the HeadBed makes hair washing and treatments a pleasure now for our clients” Adrian from One Step Ahead. 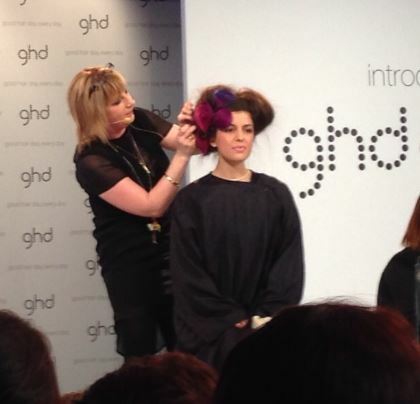 HeadBed is very supportive of education and correct practices within the Hairdressing Industry. 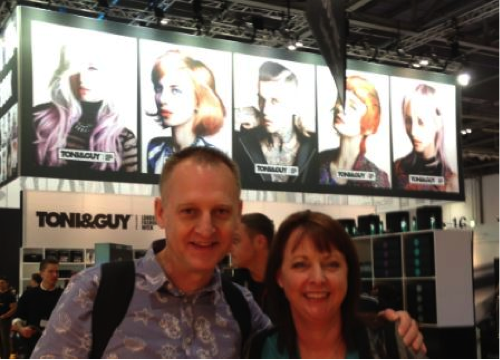 Sally Styles, CEO of the Hairdressing Council of UK, was so impressed with the HeadBed that she proposed a joint marketing initative, which will be launched soon. 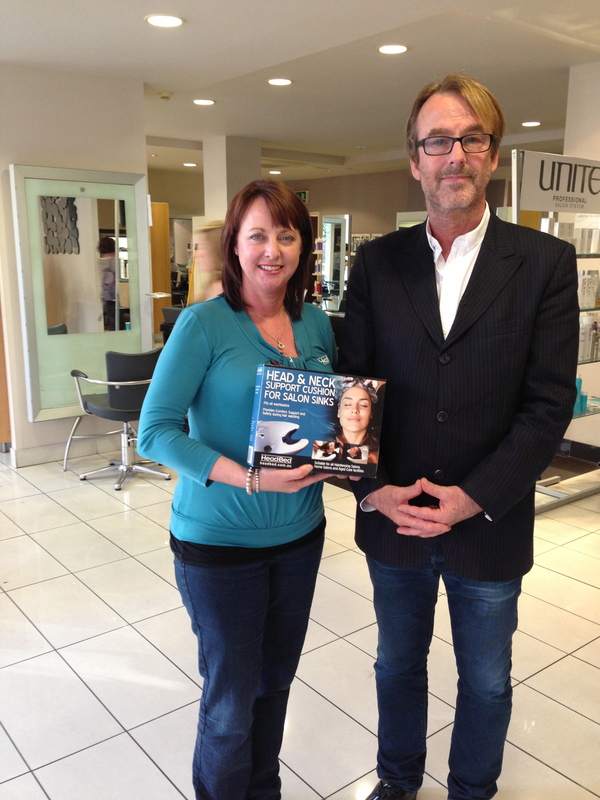 Jayne Wild, three times Australian Hairdressing Champion has given the ultimate endorsement. “The 'HeadBed' is amazing. No more water leakage. No fear that my client will have a stroke at the basin. I love them. My clients love them. 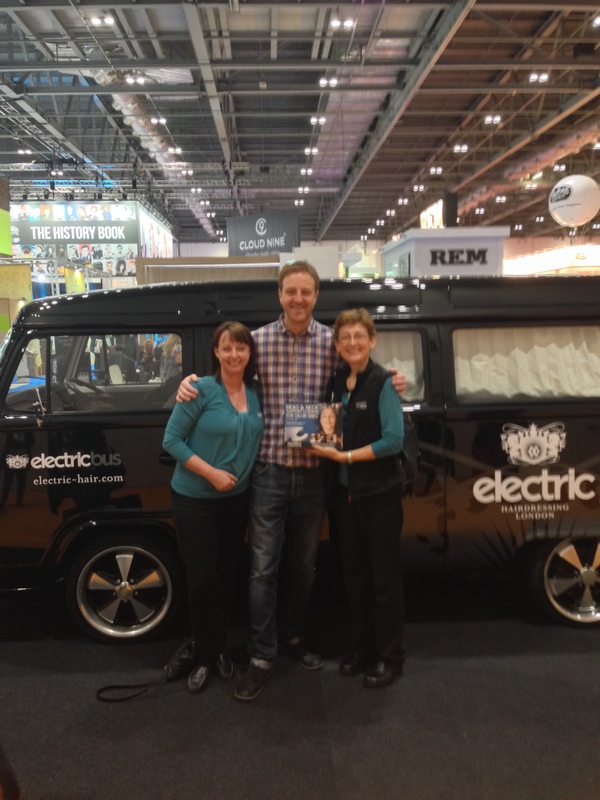 Brilliant I have told everyone in the UK about them," Ms Wild, London 2013. Our staff and clients love the HeadBeds! Please send us 2 more! "Wow, is the first word that I said when I tried the HeadBed - It is ACE! We all agree that our clients comfort is of the utmost importance and our HeadBeds makes hair washing and treatments a pleasure for our clients. I have been in the industry for over 30 years and I highly recommend the HeadBed to hairdressers around the globe. I found them on the web, and it was one of the best investments I have made in my salon for years". Adrian Hanlon, One Step Ahead, Essex, United Kingdom, 15 August 2013. 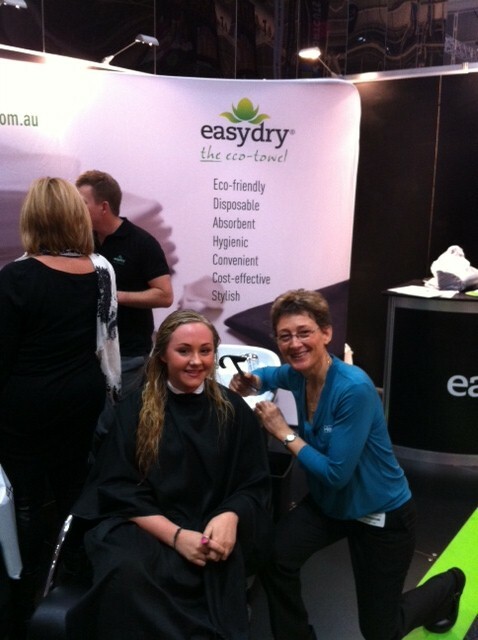 Meet Hannah, who was tipped back into the salon sink every 10 minutes, 8 hours a day, over 3 days at the Sydney Hair Expo 2012. Hannah was the sink model for Easy Dry Towels. "As a General Medical Practioner of 40 years’ experience, I can affirm that "Headaches" rank very highly on the list of common symptoms with which patients consult their General Practioner. In the majority of cases there is no serious underlying pathology. However, there is often a history of hyperextension of the neck - sometimes traumatic as in whiplash-type injuries or sporting accidents but sometimes related to more mundane activities such as working at a computer with poor posture or even having one's hair washed in a hairdresser's washbasin. HeadBed represents, in my opinion, an ingenious appliance that could play a crucial role in the prevention of headaches by restricting hyperextension of the neck over the hairdresser's basin. 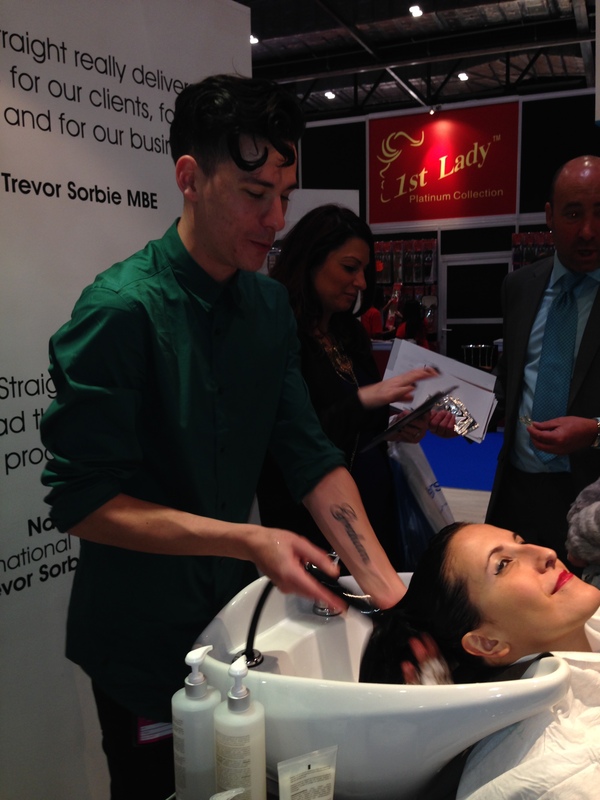 It should be promoted as an indispensable piece of equipment in every Hairdressing Salon." I have tried and tested the HeadBed at my hair salon and I must say it is excellent. As a physiotherapist, I assess and treat a variety of acute and chronic neck injuries. One of the concerns that patients often describe to me is pain or discomfort at the hair dressers that exacerbates their pre-existing condition, or that is the cause of their neck pain. The HeadBed counteracts this by maintaining the neutral curve of the neck, allowing the muscles to stay relaxed. It supports the skull at the base of the occiput reducing the weight and workload the muscles often have to do at a hairdresser's sink. "I dread having my hair washed because I have suffered whiplash, but today with the HeadBed I was not begging to get out of the sink - totally loved it. I live in London, can I buy one and take it home?" Score 10/10. Michelle - Circles, Subiaco. Pauline says she just loves to have her hair washed and be pampered at the sink. "Wow, the neck support really helps, I just relaxed and enjoyed my treatment so much more today!" Score 9/10. Pauline - Hair Loom, Osborne Park. De Lecq Le Montais, Ardross: Rebecca Crosland. (28/7/2012) “I love the concept and it definitely has a place in the salon, I can see how it could improve the reputation of the salon. Clients have started to ask for it now”. The HeadBed team congratulations the InterCoiffure members Dale James, Fatty Arbuckles, Hartleys Har and Icon for being Perth's most forward thinking hairdressing salons for their committment to their customers comfort and care is outstanding. HeadBeds are now on the wash basins. These are some of the most exclusive salons in Applecros, South Perth, East Perth, Cottesloe and Subiaco.